You’re a die-hard traditionalist and you don’t apologize for it. You know that there is only one acceptable brand of chocolate for s’mores, you still have a landline, you even get your milk delivered in glass bottles. Why, then, should Halloween be any different? Halloween for you is about simple expressions of the fanciful: a white sheet turned into ghost, a pin-on animal tail, or...hey, how about this Hero and Villain Black Eye Mask? This seems RIGHT up your unfettered alley. With its stark simplicity, this molded face mask conceals your identity so you can go incognito without a fuss. 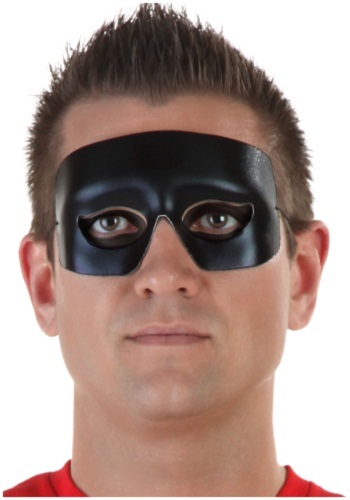 This versatile black mask goes great with any classic hero, villain, or lone ranger costume, so you can even get multiple uses out of it. We think your commitment to keeping things simple is admirable. But seriously, friend, a landline? Put on your hero mask and save yourself from that expense.